At 90 mph, the force of the wind on a 12’ x 8’ door is equivalent to a 2800 lb car. Think your garage door could resist a force of this magnitude? At DSI North Door Systems, we are proud to offer our customers garage doors that can stop the wind thanks to their great insulation system and robust material. 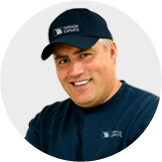 DSI North Door Systems is proud to offer its customers with an annual maintenance program. Our garage door specialists will look after your door, making sure all pieces are in good condition and all parts in their designated places. When you run into a problem with your garage door, it’s best not to take care of it yourself. At DSI North Door Systems, we have dedicated and hardworking employees that are garage door specialist and want the best for our customers. Our Design Centre helps our customers see which garage door styles would harmonize best with their house. Is your garage door old, damaged, or just needs a change? Come choose among our many styles of garage doors you can create with the addition of windows, accessories, and by just changing the color. 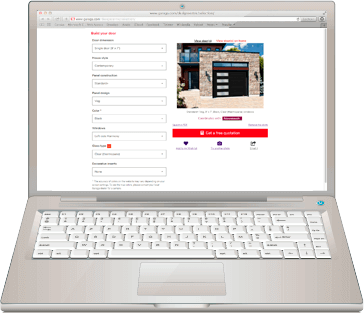 Upload a picture of your home and compare before and after the installation of your new garage door, all of which can be done with just the click of a button! Transform your home today with the help of our Design Centre! Up the value of your home now! 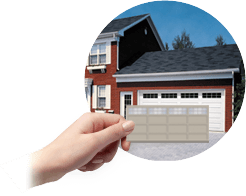 Many people overlook the importance your garage door may have on the value of your home. At DSI North Door Systems, our employees know that by replacing your door or just by updating it, your curb appeal will increase. 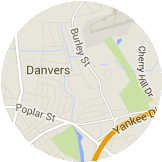 Our technicians and installers working in Danvers, MA, to advise you the best they can. They will guide you through all the possible options, explaining the different products on the market and make sure your needs and budget are being met. Buying a new garage door is something you do once every 25 years, make the right decision with one of our GARAGA garage doors. Ever been worried an intruder might access your home through your garage? Stop worrying now! LiftMaster garage door openers. contribute to your safety and the one of your loved one with its reliability and its operating system that makes sure your garage door is properly closed at all times. At DSI North Door Systems, we are proud to offer you the best product on the market, and LiftMaster is one of them. At DSI North Door Systems, we are proud of our employees. Over the years, after hundreds of installations done with precision and excellence, they are for sure garage door specialists. After a few years, your garage door will need a check-up. Someone will have to make sure that the operating system is running well and that all important parts are in place. Our technicians have acquired skills and knowledge that allow them to repair or install any brand of garage door, making it easy for them and for you. No matter what the market is, residential, industrial, commercial or agricultural, our dedicated employees are there for you!